Late in the 20th century, some makers began experimenting with a different approach to sound box design; - the idea here was to make the soundboard much thinner than before and supported by an interconnecting lattice of slender struts to give support to this fragile top. At the same time, the back and sides are made more rigid, in an attempt to reduce the amount of energy lost into these parts, and to encourage the reflective projection of sound out towards the listener. Sometimes an armrest (fixed or removable) is also used, both for comfort, and to prevent the player's arm from damping the soundboard. 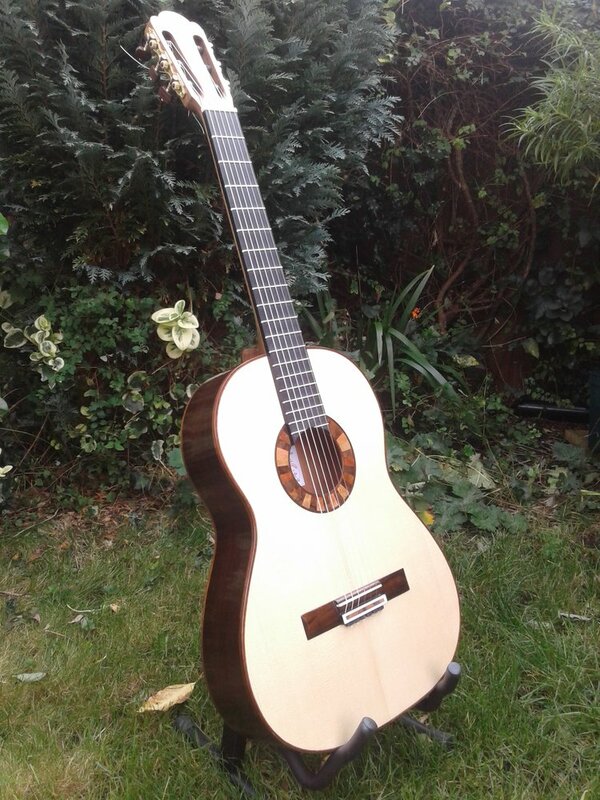 This type of guitar is more demanding to make, as it involves many more steps in the construction process, and bringing the soundboard down to the membrane-like thickness required, takes great control of tools and materials.